This activity doesn't depend on the season and weather conditions. We are comparing Exclusive Early Morning Vatican Tour Prices from leading ticket suppliers and Try to find you Cheap tickets prices on the market. The guided tour of the Sistine Chapel and the Vatican Museums takes place before the official working hours of these attractions. During the guided tour, visitors examine many types of works of art, originated from the antiquity to the Baroque era. Licensed guide reveals facts and interesting information about the masterpieces and premises the walking tour covers. Visitors have a chance to see items of ancient Greek and Roman origins, amazing frescoes and stunning sculptures. Travelers enter the Basilica of Saint Peter through a separate door, avoiding waiting in lines. Works of art by many celebrated artists, including Raphael, Michelangelo and Bernini, are on display in Vatican. Taking this tour is the right thing to do for any traveler in Rome since it summarizes the city's historical and artistic significance. The activity is especially worthwhile for tourists interested in the classical times of Greece and Rome, the advent of Christianity and fans of art. The walking tour is suitable for visitors of all ages. Your Experience With Exclusive Early Morning Vatican Tour? Arrive before the official opening hours and visit the Sistine Chapel and the Museums of Vatican before numerous visitors arrive. Admire wall and ceiling paintings of the Sistine Chapel, most of them being work of Michelangelo, a famous sculptor, painter and architect. 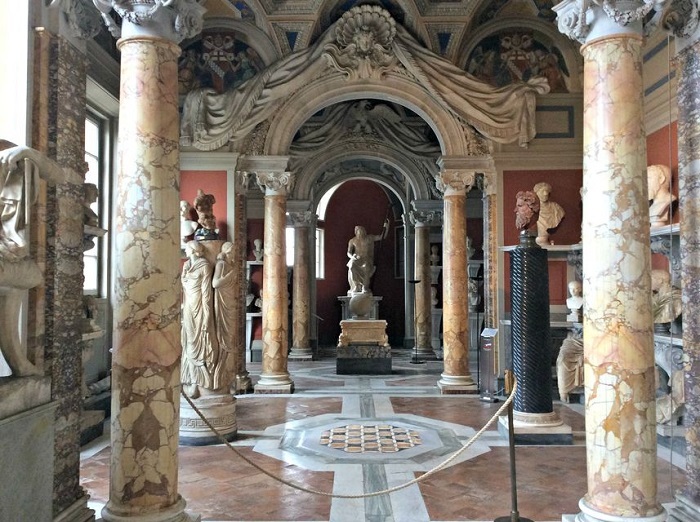 Tour Raphael Rooms and Pinacoteca, an art gallery, in the Vatican Museums. Visit the Saint Peter's Basilica, see a big bronze baldachin, the tomb of Saint Peter and works of art of the chief religious structure of Catholic Christianity. Besides masterpieces of Rafael and Michelangelo, admire works of art by Perugino, Bernini and Botticelli among other maestros. What Exclusive Early Morning Vatican Tour Includes? An expert guide well familiar with treasures housed in the Vatican Museums and the Sistine Chapel. Headsets are provided to allow you to hear the tour guide clearly. Entrance fees to the Museums of Vatican, Saint Peter's Basilica and the Sistine Chapel. The majority of Michelangelo's paintings in the Sistine Chapel relates to the Biblical stories. From Michelangelo's dome of the Saint Peter's Basilica, you can admire panoramic views of the city. In Raphael's Rooms, you can examine various paintings, with The Life of Constantine (the Great) and the School of Athens being among the masterpieces. Travelers Reviews about Exclusive Early Morning Vatican Tour? Travelers who joined the guided tour have a high opinion about the knowledge and performance of their assigned guides. Their comments indicate that they have learned a lot about the places and masterpieces they visited and saw. The reviewers state that visiting the museums and the Sistine Chapel absent other visitors makes a big difference to the overall experience. The reviews of the former participants in the tour imply that the experience is well worth its cost. The guided tour isn't suitable for visitors in wheelchairs. Printed and mobile vouchers are both valid for this activity. If you cancel the order no later than 24 hours in advance, you obtain a full refund. Dress respectfully to enter the religious structures. Young visitors need to be in the company of an adult. There is going to be a moderate amount of walking during the guided tour, so wear appropriate footwear. Via Vespasiano 16/18 or Via Germanico 16, Rome, depending on the operator you choose.